When she was only 3 years old her father left. Hoping for a better life and to help provide for her daughter and herself, Mwaba’s mother remarried but her new husband never accepted Mwaba as his child. When the husband started abusing them, she feared for her daughter’s life and sent her away to live with other relatives. 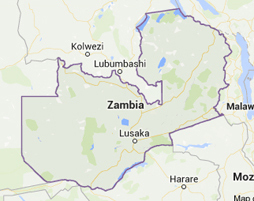 Unfortunately the relatives, struggling with poverty themselves, didn't have the resources to support Mwaba. As is so typical in cases such as this, Mwaba was sent from house to house. As a result she hasn’t gone to school regularly. Violet, our housemother, who is also very involved with Women’s Rights in Zambia, is advising the mother and teaching her that she has the right to live in a safe environment. 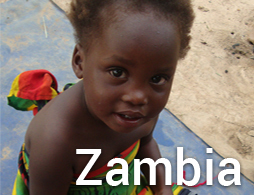 We are offering a safe stable home for Mwaba, who has just started going back to school. 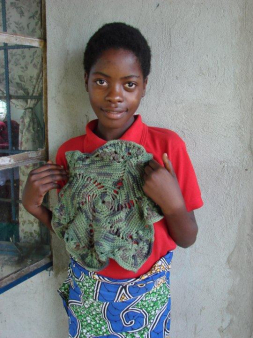 She dreams of being a teacher and often tries to tutor her younger friends and other Lupwa children with their homework. Here at the Vima Lupwa Home she will have the support she has always needed. We are hopeful that the stability our home can provide Mwaba will help her thrive and break the cycle she was born into. Mwaba is now 14 years old. In the 4 years she has been with us she has grown about a foot and is the tallest girl so far, even taller than Violet, the house mother. 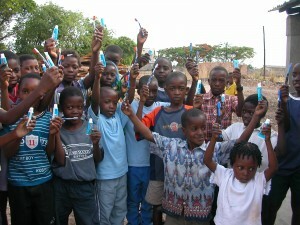 Mwaba is incredibly bright, although still struggling to catch up in school. 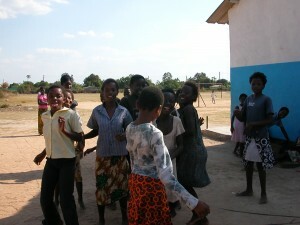 Since she had such a late start with her education, Mwaba had the help of a local tutor to catch up to her age-mates. We were thrilled when Mwaba was accepted into Malaika Basic School, which is one of the best day-schools in the Copperbelt region. The school is about a kilometer away from the home, so she and Aggie wake up early in the morning to start the walk to get there on time. The school serves the children breakfast, which usually consists of cornmeal and tea. 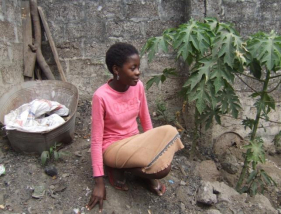 The stability of the Vima Lupwa Home has provided Mwaba a safe environment in which she thrives. 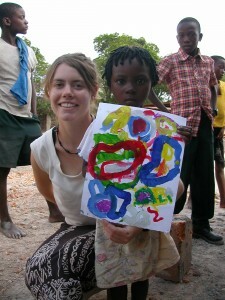 She dreams of being a teacher and often tries to tutor her younger friends and Lupwa brothers and sisters. Mwaba is known for staying up late at night by herself in the candlelight practicing reading and reviewing her old school assignments.